A Canadian Atlantic coast town asked for help from the federal fisheries department on Wednesday to help get rid of some 40 stranded seals wreaking havoc, and blocking roads and doors to homes and businesses. The animals became stuck in the town of Roddickton-Bide Arm, Newfoundland after nearby waters suddenly froze over nearly a week ago, preventing their return to the ocean. Because it is illegal to interfere with marine mammals under Canadian law it has led to some awkward face offs with the unyielding seals. They also bite. Two have been accidentally struck by cars at night, and several townsfolk have expressed concerns to local media that the chubby, big-eyed beasts may soon starve without access to food. "We're seeing them more lethargic, they're not moving as fast," Roddickton-Bide Arm mayor Sheila Fitzgerald told The Northern Pen newspaper. "It's really disheartening for people to watch these animals suffer." The Roddickton-Bide Arm town council raised the issue at a regular municipal meeting Tuesday night, and resolved to ask the Department of Fisheries and Ocean to intervene. "They've been saying let nature take its course, but it's been almost a week," Fitzgerald said. "If they could find their way out, they would have found their way already." The town on the northern tip of the Canadian island province, on a major seal migration route, is used to seeing seals. They typically travel south from the Canadian Arctic and the shores of Greenland to spend winters off the coast of Newfoundland. 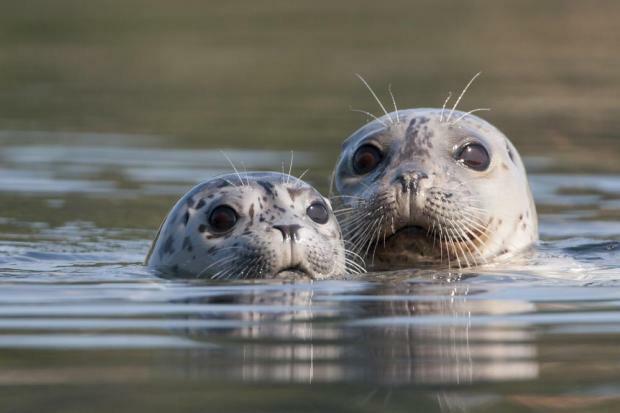 According to marine biologists cited by Canadian media, the seals likely became disoriented after a rapid freezing of the nearby bay, and moved inland instead of toward open waters.